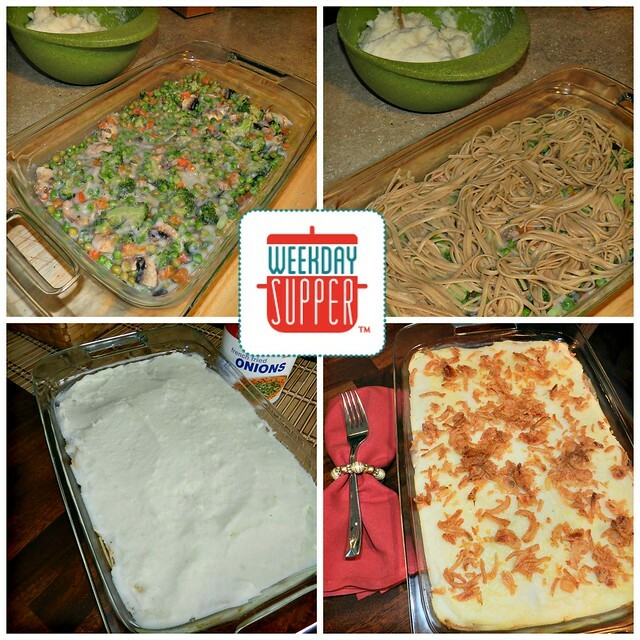 I’m happy to close off the week with another fabulous #WeekdaySupper for you all! This easy, quick yet hearty dish was made for me a few months ago by my best friend. Once a month we try to get together whether we head out for a meal and drinks or to save some money I leave the kids with my hubby and take off to her house where she cooks for me! Yes cooks for me! How lucky am I?? It’s nice to sit back with a glass of wine and enjoy girl talk without the sounds of cries and shreaks in the background. So after the first of the year my bestie wanted to try eating no meat for three weeks. She wanted to try a challenge and see if it bettered her body and mind. She said it was a lot easier than she thought it would be. After the three completed weeks of going meatless she did go back however she realized that she felt better and healthier cutting down her red meat to once, once every other week. You go girl! So with that being said one of those nights during her challenge I went over for dinner and she made me this dish!! I put my own spin on it by adding the pasta because it’s my Mom’s tradition and was always in our Shepard’s Pie growing up. I also added it because I have a picky toddler and I knew she’d eat the pasta! To my surprise she also ate the veggies. I know your probably thinking that it’s crazy to add pasta to Shepard’s Pie but I’m telling you, give it a shot, you won’t be disappointed. Cook pasta to al dente and set aside. Preheat oven to 350F. Spray a 13×9 baking dish with non-stick spray and set aside. Place all of the veggies in a bowl and mix with the cream of mushroom soup. Add veggie mixture to the baking dish, spreading it out evenly. Spread cooked pasta evenly over the veggie mixture. Add Mashed Potatoes on top of the pasta spreading evenly. Bake for 20 minutes or until you see the liquid starting to bubble in the bottom of the dish. Add french fried onions to the top and bake for another 5-10 minutes. **Tip: I also threw in a 1/2 cup or so of cooked broccoli that I had on hand, this is where you can use any veggies you want! 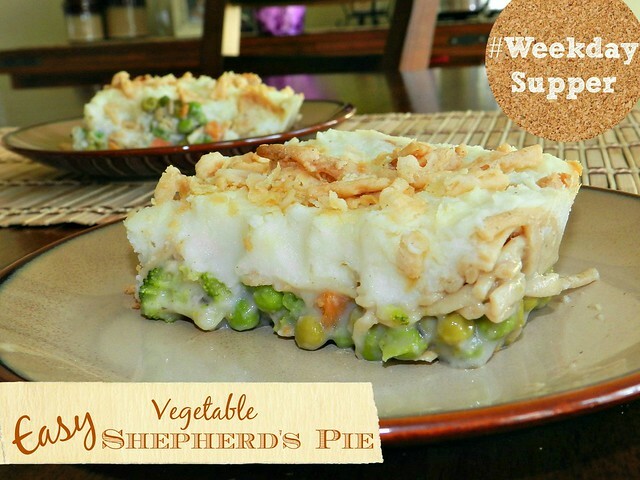 I have to say I don’t beleive I will ever make sheperds pie again with meat in it. I was invited to supper the night Tammi made this, and have to say Thank you Shelby for trying 3 weeks with no meat, and thank you Tam for inviting me, this is the way I will make my shepards pie from now on. I will also invite Madison and Drew to join me as they loved it as much as I did. Try it you won’t be sorry, it was yummy! Thanks Mom!! Glad you enjoyed as much as we did! Oh yum!! Spaghetti in the shepherd pie. Great idea!! You have to give it a try Connie it’s different but yummy!